I picked up these sunflowers for my porch portraits earlier this week, and when I was cleaning up afterward I started playing with the placement of the sunflowers, a couple of pumpkins I also picked up for for porch decorations, and my little vintage step ladder. There’s nothing more fun than having a few minutes to play and work a scene. It’s a lovely little Thanksgiving still life, isn’t it? 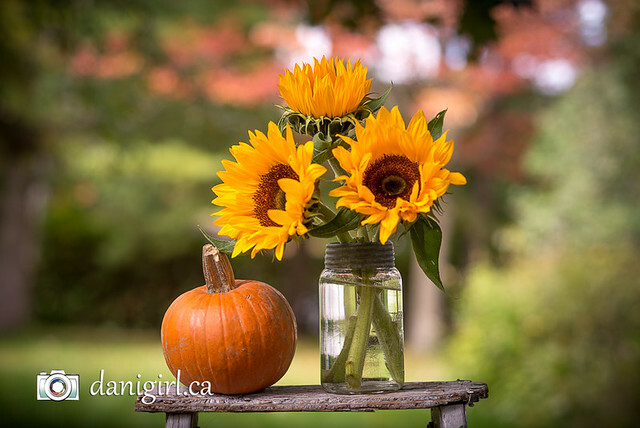 I’m very thankful for pretty colours and fresh vegetables and happy sunflowers!